With some things it makes sense to replace them with used items. But large appliances, such as washers and dryers, have gotten more efficient with each year. 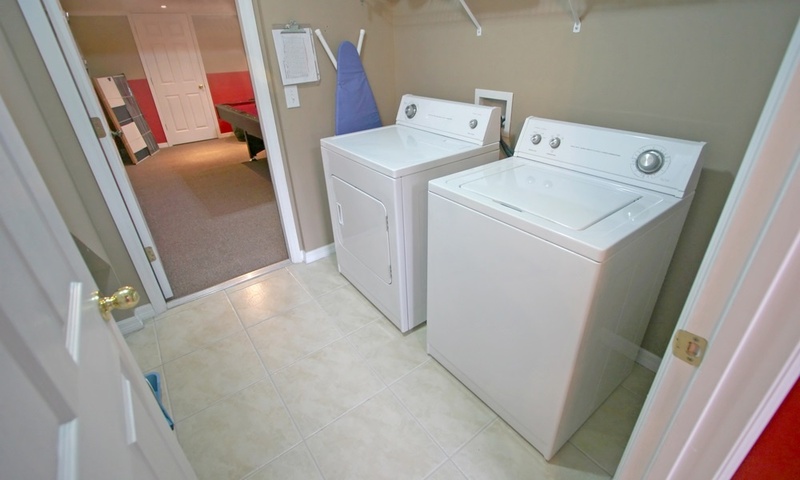 Unfortunately, your old washer and dryer tends to use a large amounts of energy and water. And, over time, they can start making a great deal of noise, or stop working as well. Noisy, humming, rattling washing machines. Excessive water consumption and ineffective in cleaning your clothes. Water leaking or not draining. Years of age, outdated energy efficiency. Expensive repairs (often the case with old top-loader machines). The bottom line is, if your washer or dryer has become inefficient, noisy, leaky, or is always in need of repairs, it’s time to upgrade. New technology provides greater energy and water efficiency, better cleaning and drying performance, and many smart features in new washing machines and dryers. For example, some new front loading washing machines have a smaller, second washing machine built into the pedestal at the bottom. This allows for two separate loads running at the same time. The top machine manages a full load while the lower machine can be used for small loads that need special attention. In addition, there are top-loading washing machines with built-in sinks under the lid for hand washing or pre-treating. A jet directs water into the sink fitted with ribbed sides for hand scrubbing. The used water can then be poured into the washer's main tub when done. Smart technology means that washers can be compatible with a smart thermostat and controlled and monitored using a mobile app. The system can switch the washer to a quiet mode when you are home, or turn it on only during low-cost, off-peak energy hours. Unfortunately, once you buy a new washer and dryer, you still have to get rid of your old ones. And not every appliance dealer will take you old machines. So the problem for many homeowners is how to easily get rid of their old machines. One option for working and usable machines is to try selling them online or in a yard sale. However, if they don't sell right away - or you simply don't want to take the time - what else can you do? A simple solution is to hire a junk removal service. By using an eco-friendly junk removal service to repurpose your old appliance you don’t have to worry about the environmental impact of disposing of your old machines. Working appliances are much appreciated by donation center and charities. However, there are times when appliance recycling makes more sense than donation, especially if the equipment is inefficient and close to breaking down. Your old washing machine and dryer can be disassembled and recycled and a junk removal service can help to make sure your old appliances are recycled for the scrap metal and other materials. Moving and lifting a washer or dryer is hard work and requires a vehicle that can handle the load safely. This is another reason to hire a junk removal firm. Junk King's teams are well trained for these tasks and they also have the right equipment to do it quickly and efficiently. We know that getting your old appliances out of your home and responsibly disposed of can be difficult. Fortunately, Junk King's local junk removal service offers you a simple solution for the disposal and recycling of your old washing machine or dryer. And, when you use our junk removal services, you receive the friendliest service from America’s greenest junk haulers. The greenest junk removal service is just a click or phone call away. Junk King is rated #1 in customer service in North America and we’re proud to be the most environmentally friendly appliance disposal service around. We operate many biodiesel trucks in our fleet, and our teams know where to recycle or donate washing machines and dryers in your area. Consider it a “win-win” situation — upgrade to a more energy efficient appliance, and enjoy the peace of mind that comes with responsible appliance recycling thanks to Junk King. Schedule an appointment today for fast, friendly, and affordable junk removal. We take care of washing machine and dryer disposal as well as other appliances, electronics, trash, and debris you have sitting around. Book us now online or contact us at 1.888.888.JUNK (5865) to get a free estimate with no hidden fees.